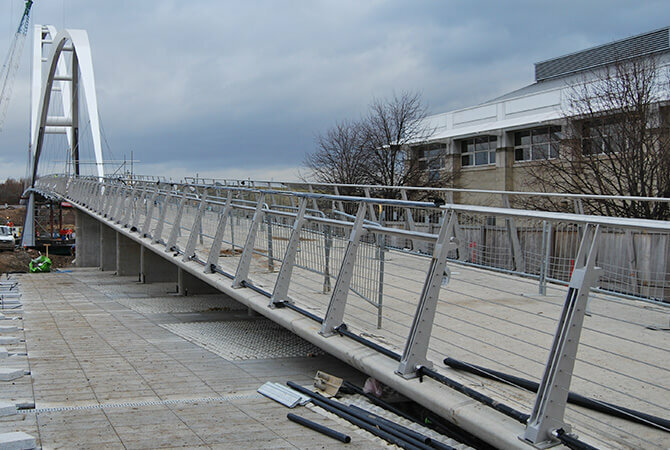 Infinity footbridge balustrade wire installation by S3i. 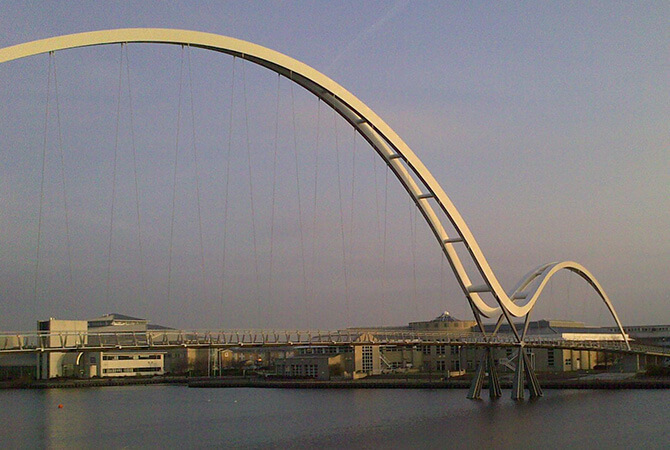 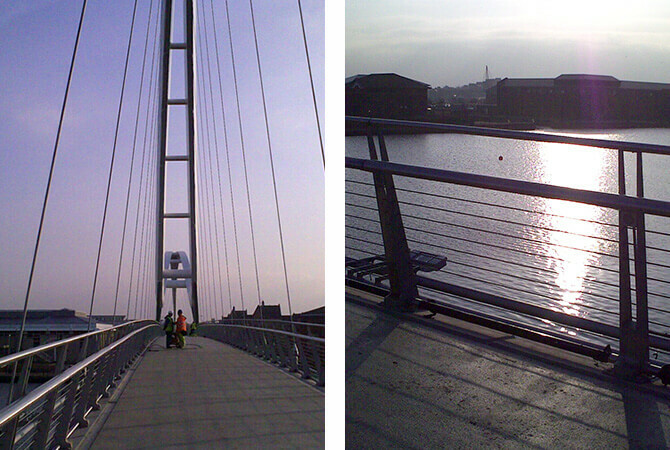 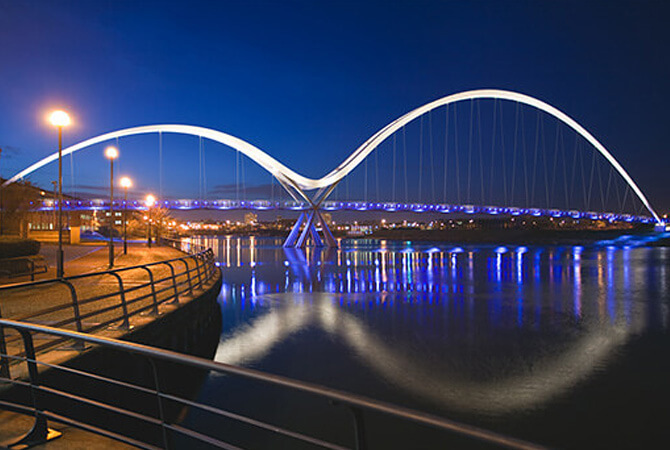 In 2010, S3i completed the installation of the stainless steel wire rope balustrade infill for the North Shore "Infinity" footbridge in Stockton on Tees. 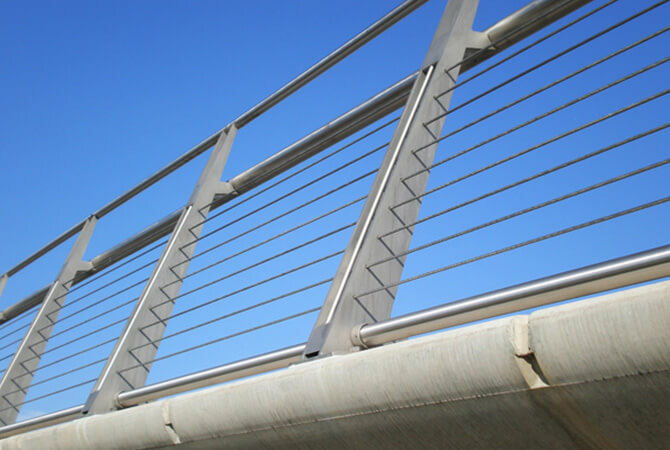 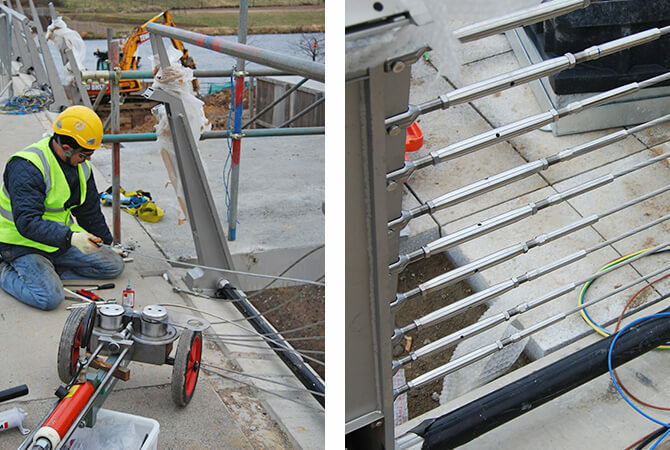 An 8mm diameter stainless steel cable was used to span the 200 metre footbridge.